You'll be £19.99 closer to your next £10.00 credit when you purchase The Dam Buster Raid. What's this? [Contains] useful material on the losses in the raid and on the post-raid fates of the survivors. 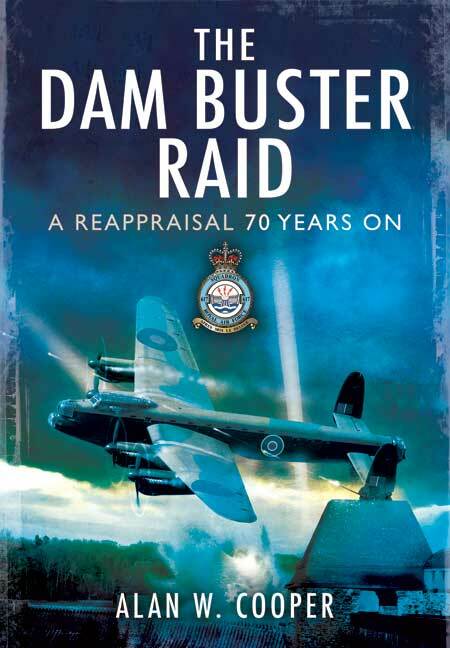 Author Alan Cooper has returned to the story of the attacks, the development of the famous 'bouncing bomb' and the ongoing discussion on the merits and achievements of the raid with this new 216-page hardback. He provides a solid overview of all aspects of the May 16/17 operation. To his credit he has not been tempted into the post-raid controversy, but presents the facts and leaves the reader to reach their own conclusions. A listing of aircraft involved, their pilots and fate, plus a comprehensive index, add to the book's usefulness. Many of the well-known dams raid photographs are included among the book's black and white illustrations, along with a selection from the author's own archive, adding depth to the post-raid story. A listing of aircraft involved, their pilots and fate, plus a comprehensive index, add to the book's usefulness and the author has included a fine section on memorials to the lost crews, anniversary commemorations and other artefacts. Many of the well-known dams raid photographs are included among the book's black and white illustrations, along with a selection from the author's own archive, adding depth to the post-raid story.